Concept Of Debate And Political Argument Symbol As Two Opposing.. Stock Photo, Picture And Royalty Free Image. Image 64818592. 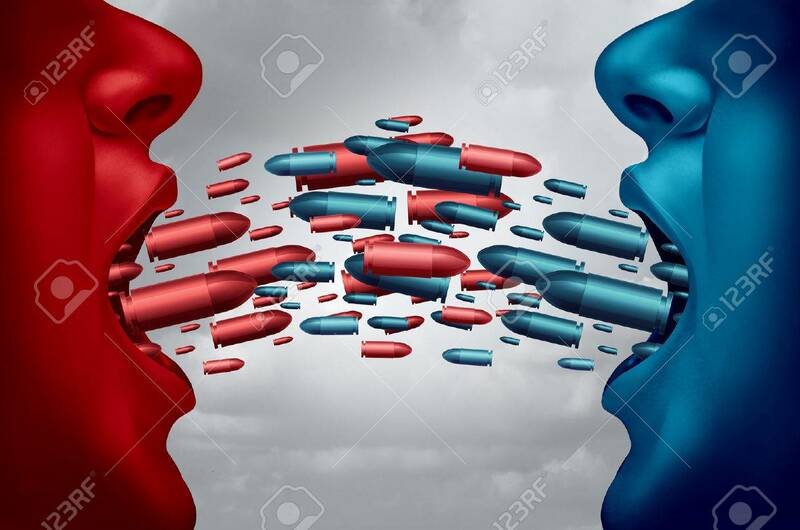 Illustration - Concept of debate and political argument symbol as two opposing competitors debating and arguing with mouths open and symbolic bullets flying towards each other as an dispute metaphor with 3D illustration elements. Concept of debate and political argument symbol as two opposing competitors debating and arguing with mouths open and symbolic bullets flying towards each other as an dispute metaphor with 3D illustration elements.